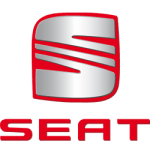 Seat is a Spanish car maker with a reputation for low cost, functional driving with a quirky personality. The Seat range inlcudes city, family and SUV cars. These include the Mii, Ibiza, Toledo, Leon, Ateca and Alhambra. At Little Green Car we've got some amazing Seat lease offers, take a look on these pages and look out for the best buys. If you can't see the Seat lease deal you want please contact us.